As good as the "name brands", but at a fraction of the price! 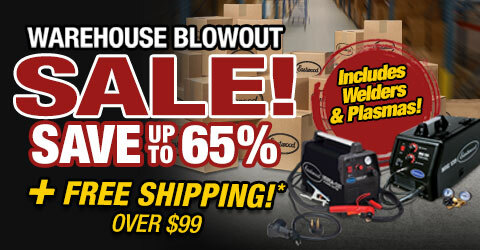 As a home hobbyist or light fabricator, you don't need to spend more for a "brand name" industrial MIG welder. Our R&D guys developed the Eastwood MIG 135 Welder from scratch to produce excellent bead quality and capabilities that match - and even exceed - the more expensive MIG welders for sale! 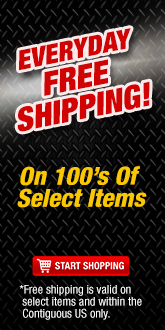 You'll get high-quality welds for sheet metal and thin steel at a fraction of the price. Anyone who does auto body restoration, works on race cars or likes creating metal art will love this powerful welder. We've been the place to find better welding machines and supplies since 1978 and will put this MIG welder up against any comparable model on the market. 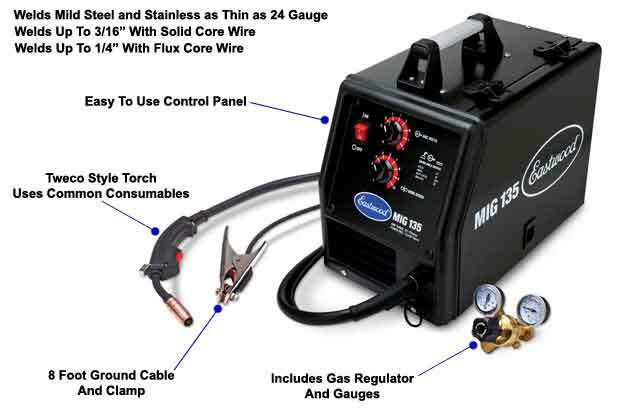 The MIG 135 welder is designed for the DIY home enthusiast who needs all the basics in a compact, affordable package. This welder comes complete (except for the gas cylinder) and ready to weld 24 gauge to ¼-inch mild steel, stainless steel and sheet metal. It has a 20 percent duty cycle at 90 amps, giving you adequate time for many light fabrication welds. With a 25-135 amp welding range, you can adjust the power for different metal thickness (the duty cycle will go up or down accordingly). The welder runs on the standard 120v current that you find in most house and weighs just over 55 pounds. The combination means you can bring your portable MIG welder with you for doing favors or hired projects. Part of what makes the Eastwood MIG 135 a great welder is that you can easily tailor it to your specific needs. It feeds wire at 39-468 inches per minute and has infinitely adjustable wire speed and heat settings. Among other things, it includes a precision-drive motor, a regulator with hose, wire, tips and other MIG welding equipment. Just add your own cylinder of CO2/Argon and any safety accessories and you're ready to go. The "Quick Set" weld chart specifies settings for each material thickness, eliminating guesswork and assuring complete penetration and flawless welds. If you're just learning how to weld with a MIG welder, check out the Eastwood Garage for helpful articles and videos. 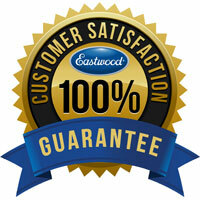 Each welder is backed by Eastwood's no-hassle return policy and 3-year manufacturer's warranty. 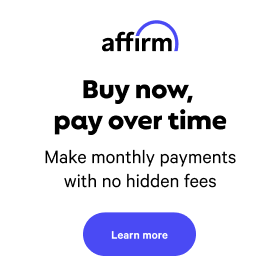 Try it out for 60 days and if you don't like it, return it for a full refund! Always wear a minimum #10 shade helmet, leather welding gloves, long-sleeve shirt and long pants. Welding steel, stainless metals: this unit welds 20- and 18-gauge body panels beautifully. The amperage and output voltage can be controlled precisely to get the proper penetration required. The wire speed can be infinitely adjusted also to gain proper wire fill in the weld pool. 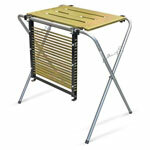 This unit has been compared to the leading U.S.-manufactured red welders with equal results at a fraction of the cost. The drive roll mechanism, the heart of any MIG welder, is designed to our specifications and delivers flawless wire feed without skipping or slipping on the wire.